This article can also be found on the Young Dentist FMC site. Kicking off the week I spend my time on Restorative Consultant Clinics. Depending on which consultant I'm working under I see a huge variety of cases from tooth wear to amelogenesis imperfecta to denture cases to sleep apnoea. Seeing these referrals has taught me what cases are actually appropriate to send to second art care and what I should be expected to treat out in practice. Tuesday are spent treating patients on my own restorative list. Seeing patients in hospital is a different experience compared to in practice: you move locations a lot and have different nurses working with you, generally things take longer but you can do some pretty cool treatments under supervision. I've treated hypodontia patients, implant-supported overdenture cases and mandibular advancement devices. I'm kept very busy on these days on Acute Dental Care department (ADC). We see all sorts at Guy's and sometimes it's a real challenge to manage these patients. Most of the patients are walk-ins, but we also see ward patients of Guy's and St Thomas' which can involve the management of severely ill or oncology patients. We see many a fat-face and have the pleasure of excising abscesses (a skill I was never directly taught as an undergraduate). These mornings alternate between Oral Surgery Consultant Clinic and Day Case Theatre. 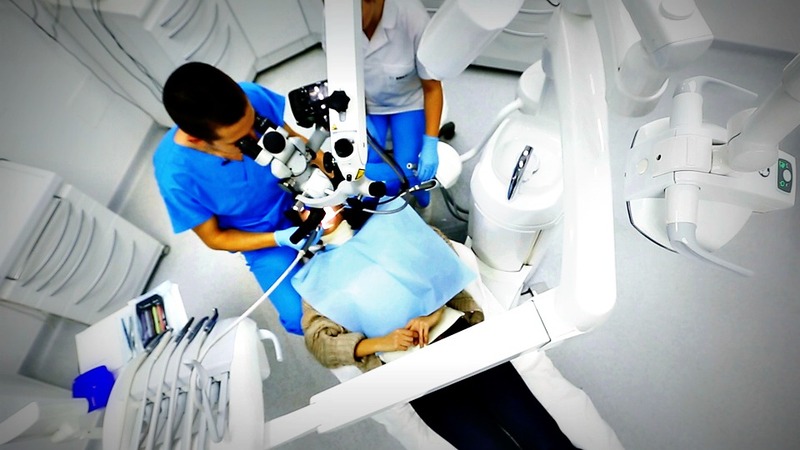 The cases I see on these clinics can vary hugely again from wisdom teeth to TMJD to cysts. These sessions have really improved my letter writing skills as well as helping me understand what choice of anaesthesia is appropriate. For Day Theatres, I've learnt how to work in a team between dentists, anaesthetists and recovery. Treating patients under GA is really stimulating and satisfying - I see extractions both simple and surgical as well as expose and bonds. On Fridays we also get afternoon teaching sessions to keep our skills up to date especially in areas we aren't confident in e.g. radiology, management of trauma. After a full week in hospital, somehow I still manage the energy to work Saturdays as a GDP in practice - something many of my peers also do. I think it's really important to keep up my skills in practice in case I decide to go back to practice. I work to shorter appointment times than in the week which keeps my speed up and I am able to be familiar with NHS dentistry - even though this new Compass thing is still mind-boggling! It also keeps the variety to my week so I don't begrudge getting up so early at the weekend, especially since the morning commute is much quieter than normal! And a well earned rest on Sunday! On top of clinical duties at hospital I am also involved in audit and research as well as teaching undergraduates. Working in different environments each day is something that I find really stimulating and I get to work with some really inspiring clinicians!